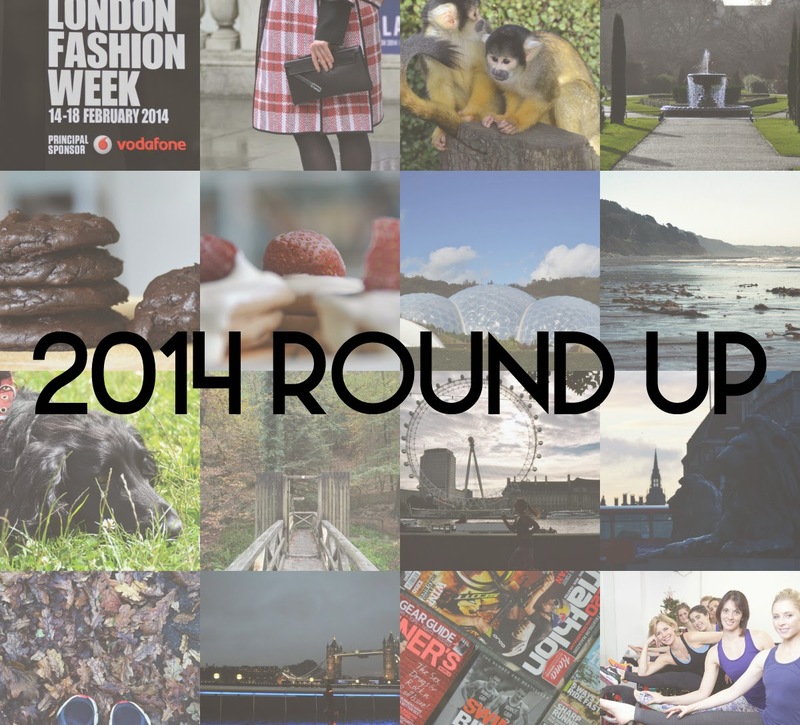 2014 is nearly over, and this year has definitely had a number of highlights. This year I have loved developing my fitness and moving my blog content towards more fitness/lifestyle content. I also participated in a number of races including two half marathons and a 10k. I can't wait to see what 2015 brings for me, it's hopefully going to be a good year! So here are just a number of the highlights from across a few months this year! - I had an pretty awesome time celebrating my 20th birthday. I had a fantastic weekend visiting London Zoo, watching my favourite movie and seeing in my birthday at midnight from the top of Center Point in Central London. - I also headed down to Somerset house, during London Fashion Week, to film a short documentary about the event. It's still a video I'm very proud of making and hopefully something that people enjoy. - The month of my first half marathon! After a few months of training (although not entirely consistent) I ran the Plymouth Half Marathon and swiftly developed a love for the distance. Next April I'm planning to run the same event and am aiming to shave a bit off my time to achieve a new P.B. on the course. - I started a run streak! I nearly forgot to include (how I do not know!). If you don't follow me on Twitter (@afloralcrown) - you may not know that I decided to run at least a mile everyday. After being inspired to start by Amy Lawrenson I set off on my challenge. I've done a couple of updates here and here since I began. I'm still going strong so if you want to stay updated on that check out my Twitter. If I've worked it out correctly, the anniversary of my first half marathon should actually mark 365 days of running - meaning I'll have runstreaked for a whole year! - I ran my first 10k event - We Own The Night and had an incredible amount of fun doing so. The whole atmosphere was amazing and I'm hopefully going to be heading back for the second year running next year. - I visited the Harry Potter Studio Tour with my best friend to celebrate her birthday. I would highly recommend the studios if you loved looking behind the scenes at films or if you're an avid Harry Potter fan. - I got involved with the Great Blogger Bake Off, celebrating all things Bake-Off with weekly challenges tying in with the themes from each week. Although I didn't complete all the weeks, I had a lot of fun and loved checking out everyone else's yummy looking posts! - I met Charlie for the first time to shoot some images for her blog and it was so lovely to finally meet her. We took lots of photos for her blog and I had SO much fun doing it! She was so lovely and just a great person to be around, definitely a firm highlight of my year. I was lucky enough to take some more photos and meet Charlie twice more after that. Hopefully 2015 will include a couple more chances to take some more photos with her and maybe a spot of brunch or two! - I ran my second half marathon achieving a new personal best and a great feeling of achievement. It was great to see how my fitness had developed throughout the year and I'm hoping to take a little bit more time off that time and achieve another P.B. next year. - I had a little bit of a redesign on my blog and I'm really happy with how it turned out. I'm planning to have another redesign in the New Year, but for now I'm planning to keep it how it is. - Along with the redesign came a spur of blogging inspiration. I decided to blog every other day throughout November in order to get my blogging mojo back. It definitely worked and I'm hugely happy with the amount of posts I published over the month. It also lead we down posting about fitness a whole lot more which is a major passion of mine. - I also got to meet the lovely Fashercise girls for a spot of lunch and an epic trying on session of some of the fantastic clothing they sell from their site and I got to meet the gorgeous puppy Bailey! Alex and Cam were both incredibly lovely and I big thank you very much goes to them for letting me do that! And that brings us to the final month of the year...- I set about with an intention to blog every single day leading up to Christmas and I am so happy that I achieved that. It really gave me a chance to post a lot more about fitness and it's a subject I'm going to carry on posting about in the New Year. To write content about something I've had a lifelong passion for comes incredibly easy to me and allows me to produce a wide variety of content. If you haven't already, check out the full 24 Days of Christmas Fitness. - I also had the incredible opportunity of meeting Darcey Bussell and being taught a dance class by her, with 5 others. It was a pretty amazing experience to say the least. Another huge thank you to Boots and Charlie who made it all possible and a truly special experience. Those were just some of the stand out moments for me this year. I didn't really think I'd done too much but looking back on it now it's been pretty great. I can't wait to see what 2015 brings. I'm hoping to carry on posting a lot more about fitness as it's something I've thoroughly enjoyed writing about this year. 2015 looks set to be a good one fitness and races wise, with a number of events already lined up for next year! I got a whole lot more involved with the fitness and fitness blogger community on Twitter and have had the chance to speak to SO many amazing people. It's been amazing just how many conversations I've had about a bunch of different topics and chatting to a lovely group of people. Each one has inspired me in their own different way and I really hope I can get the chance to meet more of them in 2015! Hope you all have a great New Year Eve's and see you in 2015!